Brandon Goldsmith (Walters State CC) intended to check out Southern Illinois-Edwardsville. The Georgia-raised guard shared with OVCHoops.com last week that his travel plans included Radford, possibly SIUE, and then Southern. A week later, Goldsmith has returned from Radford without solidified SIUE plans. After that partial invitation the connection dropped off. Is Ricky still an SIUE target? Lining up the first official is always helpful. Many recruits pick a school before they complete all scheduled official visits. Radford laid a good foundation for Goldsmith. Assistant Coach David Boyden showed Goldsmith around the campus. Figuring out his place within the program, against scholarship players was enjoyable for the unsigned guard. Radford did not pressure Brandon Goldsmith into committing on the spot. This upcoming weekend Brandon Goldsmith will check out Youngstown, Ohio. The Penguins of YSU waddled into the recruiting race. Beyond the Youngstown State visit, Goldsmith intends to visit Southern University (LA) the 18th-20th and North Carolina Central the 21st of April. Big man Dunnaway played high school hoops for Oakland High (TN) and competed with the Nashville Celtics AAU program. 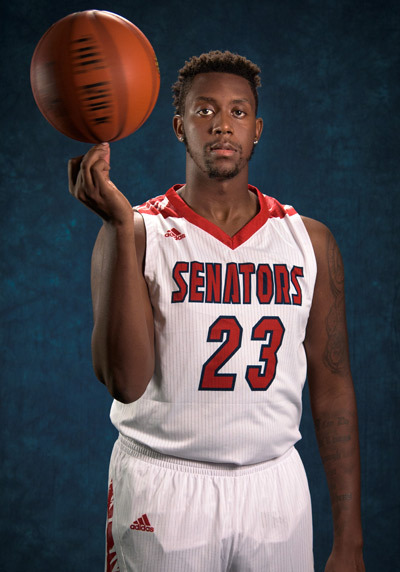 With Walters State, Dunnaway averaged 12 ppg, 6 rpg, and 2 bpg earning him All-TCCAA. According to Goldsmith, Dunnaway’s SIUE offer is dangling, but judging by the lack of contact in the last two weeks, the offer is precarious at best. Canisius and SIUE offered Dunnaway in March.